DHARAMSHALA, March 5: Beijing based Tibetan writer Tsering Woeser has dedicated her International Women’s Courage Award to Tibetan self-immolators, numbering over 100, who have set themselves on fire protesting China’s occupation. Announcing the award on Monday, the US State Department said Woeser has “emerged as the most prominent Mainland activist speaking out publicly about human rights conditions for China's Tibetan citizens” in a period marked by increasing self-immolations and protests in Tibet. 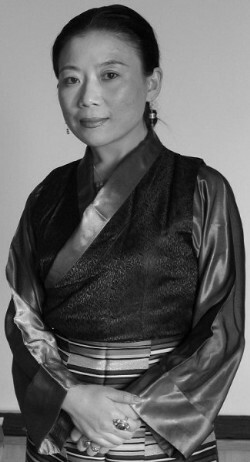 “Despite the constant surveillance of security agents and routinely being placed under house arrest during periods deemed to be politically sensitive, Tsering Woeser bravely persists in documenting the situation for Tibetans, noting that ‘to bear witness is to give voice to,’ and asserting that ‘the more than 100 Tibetans who have expressed their desire to resist the forces of oppression by bathing their bodies in fire are the reason why I will not give up, and why I will not compromise.’"
“Invisible Tibet” was last year voted the public’s choice in a poll conducted by the Best Of Blog’s competition organised by the German radio station Deutsche Welle. Woeser in her message thanked the US for bestowing her with the honour and said it reflects international concern over the self-immolations in Tibet. Since 2009, as many as 107 known Tibetans living under China’s rule have set themselves on fire demanding the return of the Dalai Lama from exile and freedom in Tibet. Woeser further expressed her disappointment at not being able to accept the award in person. “Unfortunately, I can not accept the award in person. In fact, at the moment, I will not only fail to accept the award, but I have been put under house arrest,” the fearless writer said. Awards to this year’s 10 winners will be presented on Friday, March 8, by Secretary John Kerry, who will be joined by First Lady Michelle Obama for a ceremony in the Dean Acheson Auditorium of the US Department of State. The Secretary of State's Award for International Women of Courage Award annually recognises women around the globe who have shown exceptional courage and leadership in advocating for women's rights and empowerment, often at great personal risk. Since inception of the award in 2007, the Department of State has honoured 67 women from 45 different countries. This is not the first time that Woeser will be barred from receiving her award in person. Last year, she was barred from collecting the Prince Claus Award, presented annually by the Netherlands-based Prince Claus Fund for outstanding achievements in the field of culture and development. She also couldn’t receive the Norwegian Author’s Union’s 2007 Freedom of Expression Prize in Oslo and the International Women's Media foundation’s 2010 ‘Courage in Journalism award' in New York.